With the wide range of wallpapers now available, many of them require a variety of different pasting methods. To help you choose the right paste for your wallpaper, we have put together the following guide with information appling to each range of wallpaper that we have available. If you're not sure which wallpaper is the one you have purchased, or you have any further questions, please don't hesitate to call or email us: 01444 253391 / contact@rockettstgeorge.co.uk. (Monday to Friday 9am - 5.30pm). Method – Ensure that the wall is smooth, dust-free and is an even colour. Most importantly – make sure that you stick up the first strip vertically. Apply the paste with a roller or brush. Stick strips edge to edge. Paste – Standard wallpaper paste. Paper – Non-woven wallpaper is a type of paper that contains polyester fibers. Method - Use a brush to apply wallpaper paste next to skirting boards and cornices. Apply paste to the wall using a roller. Paste - BorasTapeter recommends using an adhesive paste. Christian Lacroix, Aquarelle, Mattiazzo, and Palasini. paste may damage the surface of the wallpaper. Method – Make a mark about 25mm less than the width of your wallpaper away from the corner. Use a plumb line or a spirit level to pencil a long vertical line down the wall. Paste the wall and starting at the top of the wall hang your wallpaper. 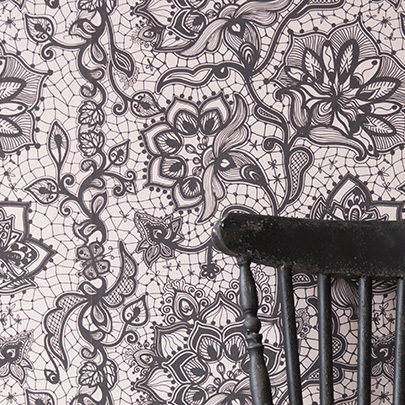 Paste - Ready mixed pastes are usually best for this wallpaper. Paper: Easy-to-hang 150g non-woven wallcovering. Method: Paste is applied directly to the wall. No soaking needed. Paper - ferrous powdered vinyl. Method - Use ready mixed vinyl wallpaper glue. Self-mix or very liquid adhesives should be avoided. Apply a thin layer of wallpaper glue evenly with a roller. Let it soak into the wall. Paste - Groovy magnets recommend using Perfax glue. Paper – Wide width non-woven wallpaper. Method – Make sure the wall is clean and smooth prior to applying. Paste a small even amount of paste to the wall. Make sure wallpaper is straight and start applying the wallpaper – starting from the top. Method – Prepare and paste the walls, ensuring generous and even coverage of the area to be covered by the first drop, paying particular attention to the edges, the top &amp; the bottom. Press the edges into position to form a perfect join and trim the top and bottom for a perfect finish. Paste – Any standard paste. Scrapwood, Marble, Silver Bricks, Brooklyn Tin Tiles and Concrete. Method – Prior to hanging the wallpaper, paste an even layer on to the wall and start hanging making sure you are hanging it straight. Recommends using a spirit level. Paste - Recommended that our wallpapers are hung with a non-solvent, pre-mixed, good quality tub paste. any dirt or old wallpaper. Paste the wall and align each strip and stick to the wall. Paste – Classic standard paste. instructions carefully before starting to hang. Paper - Paper top-layer and non-woven. Method - This wallpaper is low maintenance and easy to apply where no wallpapering table necessary as the wallpaper paste is applied to wall. 250cm long (Instructions included with paper).